If you're a city dweller, every last inch of space in your home is extra important. That's why we've partnered with Sherwin-Williams® to share space-maximizing tips for tiny apartments. When you're living in a "cozy" abode, space-saving hacks are everything. However, your solutions can be functional and fashionable with the help of one simple step: a coat of Millennial pink paint! If square footage is tight, simply look to your walls for stylish storage that aesthetically unites your apartment with pastel pink accents. From vertical planters to shadow box shelves, read on to discover five creative, chic ways to simultaneously maximize your wall space and embrace one of Spring's trendiest interior hues. 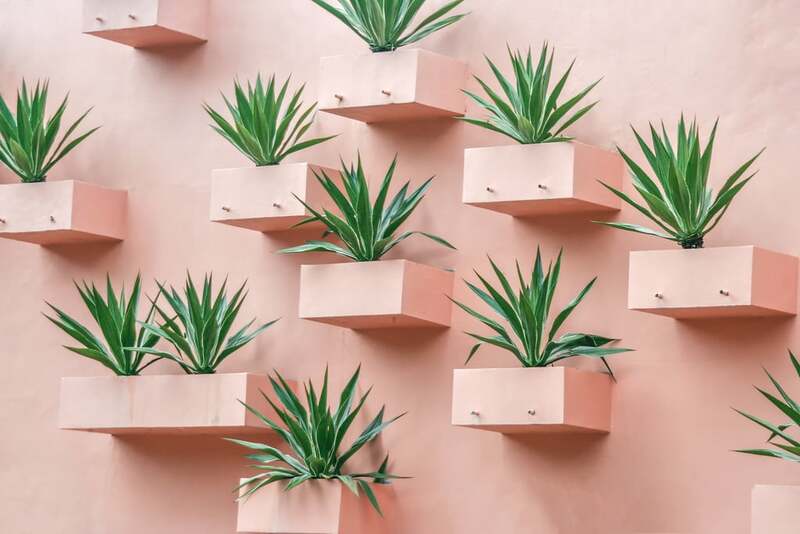 In order to improve air quality in your apartment and beautifully display your plant collection, make a succulent wall with mounted planters painted in Mellow Coral SW 6324 by Sherwin-Williams. Millennial pink is on trend and energizing for an inspiring space. Try using the Sherwin-Williams ColorSnap® Visualizer to predict how it will look in your home. Studio apartment inhabitants are all too familiar with the struggle that is limited kitchen counter space. If your meal-prep process is hampered by cluttered counters, try hanging your utensils on a wall-mounted rack or hooks instead. 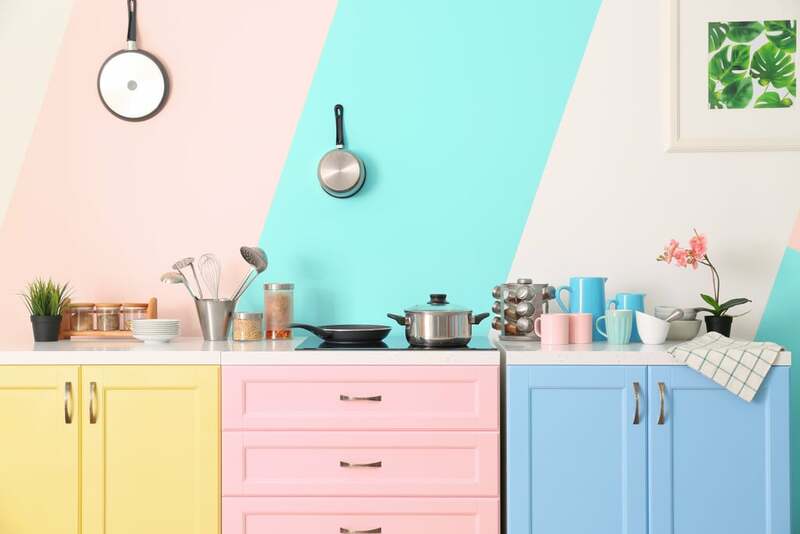 Create a striking tableau by first painting the wall in striking pastel shades like Millennial pink and teal, then use metal hooks or nails to display your favorite pots and pans. The storage solution is a beautiful and innovative way to free up space so you can whip up gourmet dishes without scattering your collection of culinary tools every which way. While the majority of your photos are likely stored on your smartphone, there are probably a handful of framed snaps taking up valuable room on your countertops. 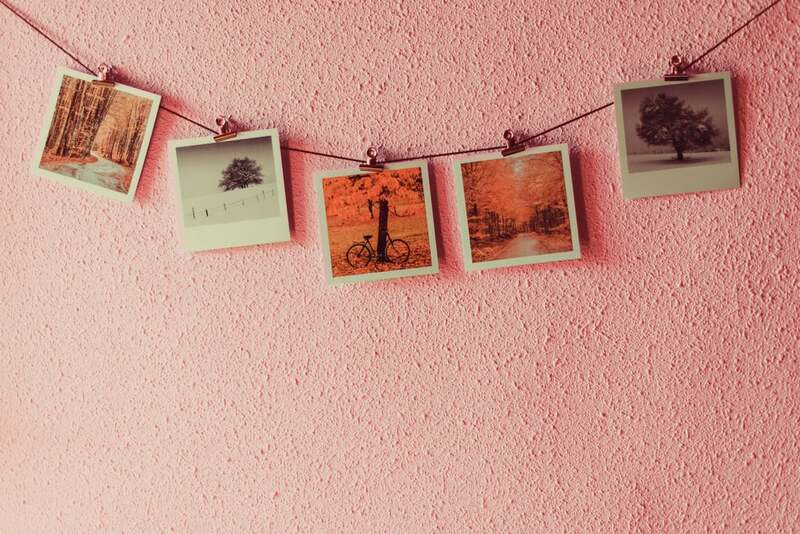 Instead of crowding your limited surface space with pictures, hang them on a wall painted in a pop of millennial pink with the help of some colorful string and clothespins. First, paint your wall in two coats of a warm, Millennial pink hue. Next, simply hammer two nails into the wall, secure the string, and begin clipping your favorite photos! If you're feeling crafty, try adding pom-poms or substituting twinkle lights for string. 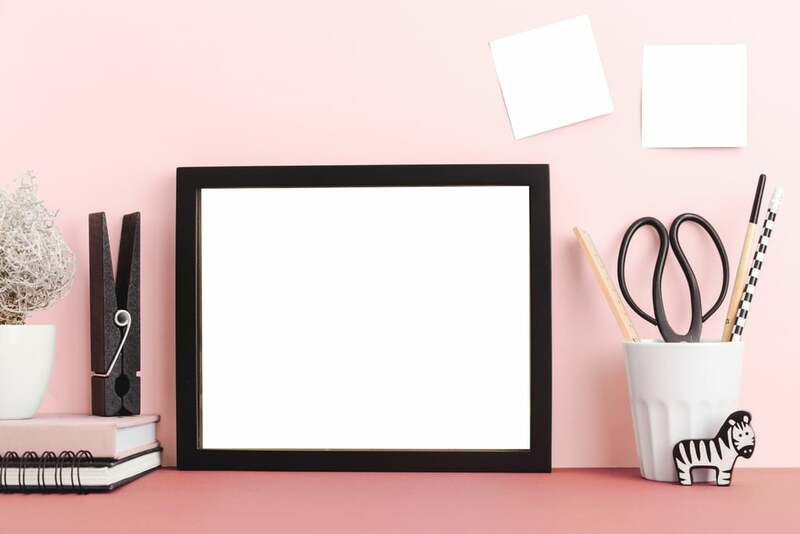 Design a Millennial Pink "Vertical Desk"
A workspace that allows you to enhance your productivity at home is invaluable if you telecommute — but not every apartment dweller has the room for a hefty desk and bulky office chair. Instead, create a "hanging desk" behind your kitchen table. First, paint the wall an inspiring statement color like pink. Next, paint shelving in the same productivity-boosting hue before securing to the wall. Finally, mount a magnetic bulletin board, and attach essentials like a pen cup, notepad, and sticky notes. Now your kitchen can double as your aesthetically pleasing command center!